More Nursing Staff = Better Care. Better Care = Healthier Residents. These new changes in Illinois' law show how the force and influence of law can lead to direct changes, for the better, in peoples' lives. 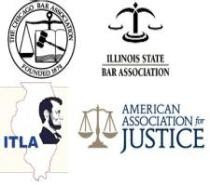 The Illinois Nursing Home Care Act was originally enacted with the idea in mind that civil lawsuits were one way to enforce the laws because it otherwise would have been too big of a burden for the State. There is no shame in contacting an an experienced attorney to discuss the care you or a loved one have received in a nursing home. Many cases are resolved without a lawsuit. Keating Law Offices never accepts a fee unless a recovery is made for the injured person. If you have any questions regarding nursing home law in Illinois, please contact Mike Keating at MKeating@KeatingLegal.com or 312-208-7702.